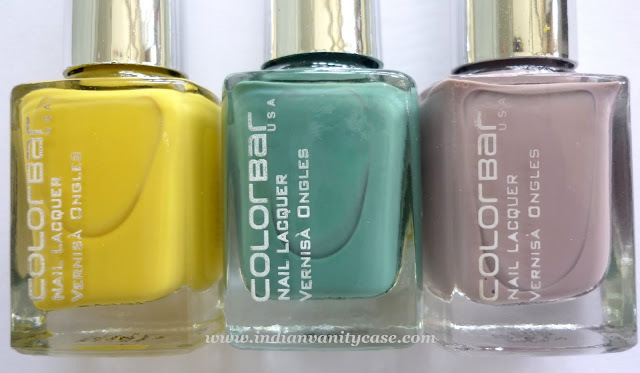 I bought 3 new nail polishes from Colorbar last week. The first is real, the last two are names I made up for the boring numbered ones. #04 (Greige) ~ Grey-beige. Who cares if "greige" is old news? I LOVE this one. I LOVE it! 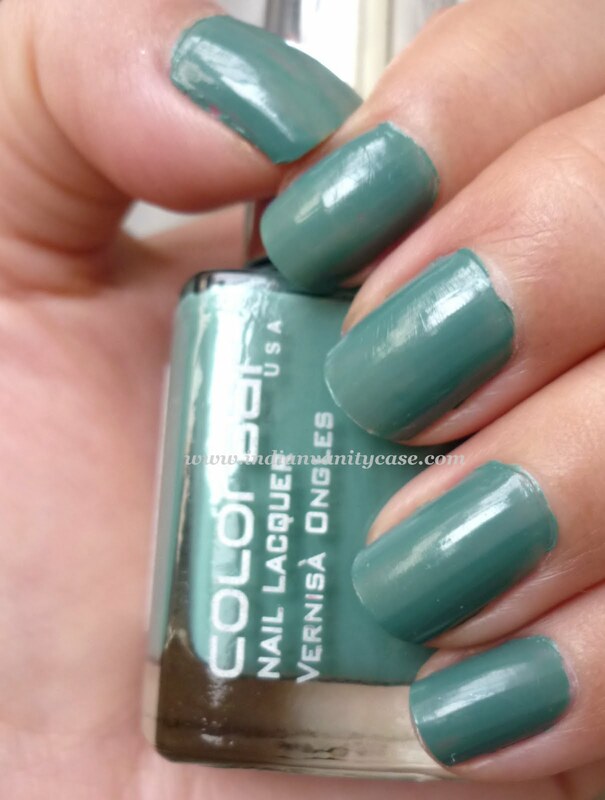 If you have been looking for a greige nail polish, this is really pretty. It has a hint of pink in it, which makes it look really unique.. It looks quite similar to Rescue Beauty Lounge Grunge. This was 2 days old when I clicked it, so it looks a bit worn out. teal n griege ..superrr pretty !! hands down the lemon drop polish is the best...and is it just me or does it look amazing with your skin tone? I totally need teal right now! 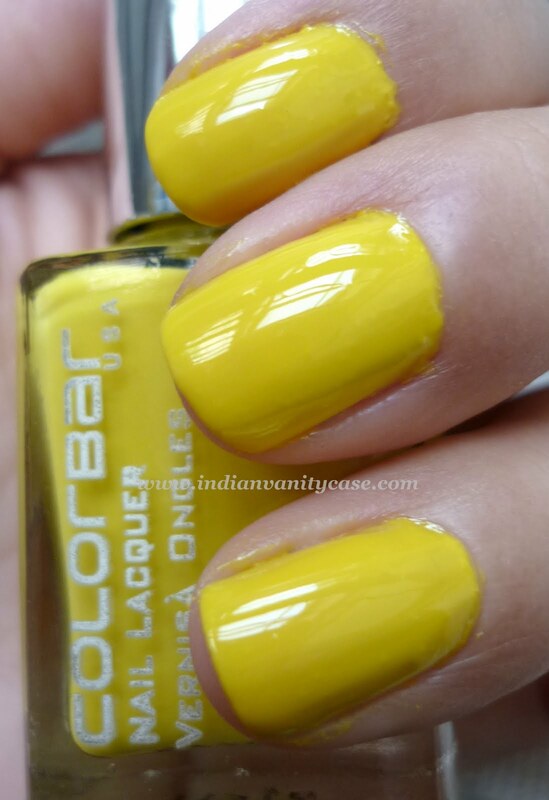 I love the lemon shade. Been searching for a nice shimmery midnight blue.